American. Born in Newark, New Jersey, 11 August 1932. Studied at Cornell University, Ithaca, New York, 1951-55, B.Arch. ; Columbia University, New York, 1959-60, M.S.Arch. ; Cambridge University, Cambridge, England, 1960-63, Ph.D. in theory of design. Worked for Percival Goodman, New York, 1957-58; worked with The Architects Collaborative (TAC), Cambridge, Massachusetts, 1959; has taught at Cambridge University, Princeton University and Cooper Union, New York. Co-founder of CASE (Conference of Architects for the Study of the Environment), 1964. (From: "Peter Eisenman." International Dictionary of Architects and Architecture. St. James Press, 1993.) Reproduced in Biography in Context. Farmington Hills, Mich.: Thomson Gale. 2006. Knapp, Pat Mason. "It's a DAAP world," I.D. 49, no. 6 (October 2002), p. 48-53. Forster, Kurt W. "Peter Eisenman/Cincinnati." Casabella 60 (1996): 12-33. 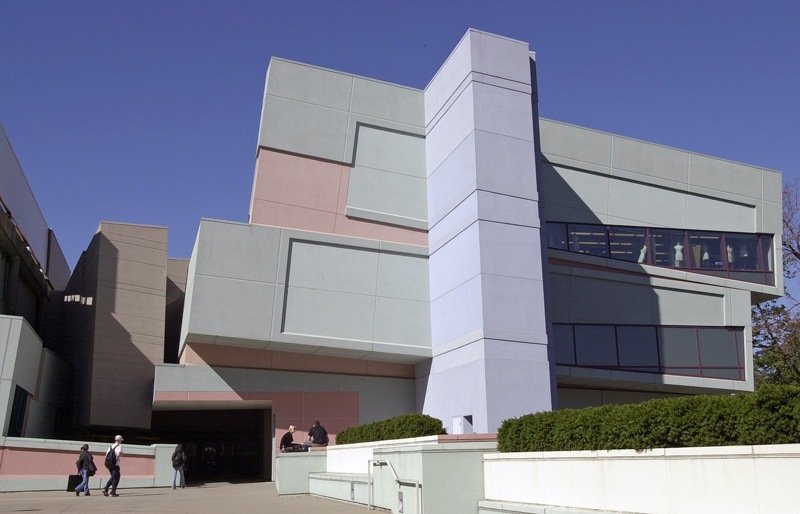 Eisenman Architects: Aronoff Center for Design and Art." Architectural Design 67.9/10 (1997): 10-13. Available through Interlibrary Loan (ILLIAD). Friedman, D. S. "Campus Design as Critical Practice: Notes on University of Cincinnati's New Master Plan." Places(Cambridge, Mass.) v 17 n.1 (2005): 12-19.